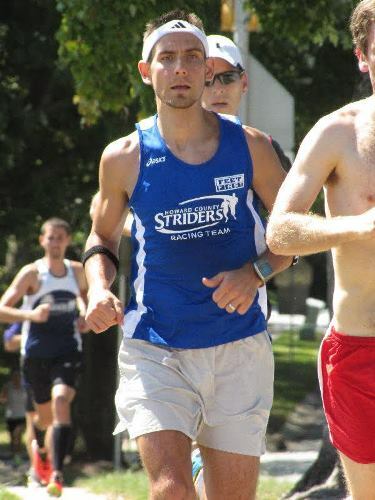 Adam started running cross country in high school to stay in shape for wrestling, and soon after added road races. The day before graduating high-school he ran his first marathon, and over the next 9 years finished a marathon in each of the 50 states. Adam has completed a total of 74 marathons, several 50k’s and two 50-mile races. He has also completed two 100-mile ultra-marathons, each under 24 hours. Adam has run 4 Boston Marathons. Now at 35 years old, Adam would like to see how fast he can get before he start to decline, especially at the shorter distances.